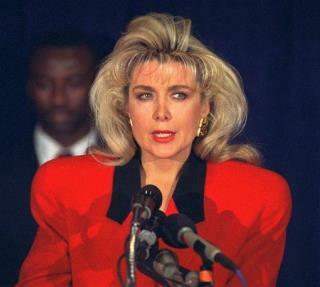 (Newser) – For the moment it appears the woman who had an affair with Bill Clinton will be front-and-center during Monday's debate at Donald Trump's invitation, BuzzFeed reports. It started with the Clinton campaign inviting Bizarro-Trump Mark Cuban to the presidential debate at Hoffstra University. TPM quotes a Clinton aide as saying Cuban "has the best seat we have access to." CNN explains that each candidate gets a few tickets for the debate and can decide who sits where. "Just got a front row seat to watch Hillary Clinton overwhelm Donald Trump at the 'Humbling at Hofstra' on Monday," Cuban, an increasingly vocal critic of Trump, tweeted Thursday. "It is on!" Forrest T has been boning Putin. Bring all of them, there will be standing room only.